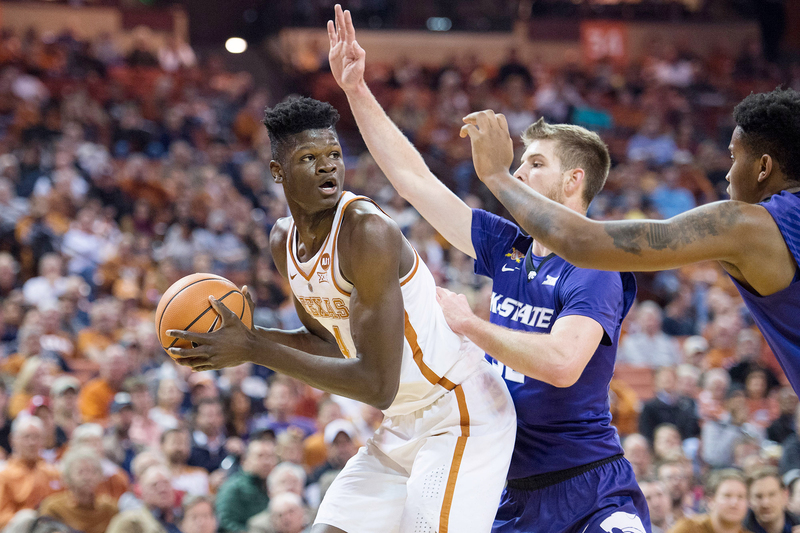 Freshman forward Mohamed Bamba scored a game-high 18 points and pulled down 12 rebounds, but it was not enough as the Texas men's basketball team fell, 67-64, to Kansas State at the Frank Erwin Center (photo courtesy of texassports.com). AUSTIN, Texas — A late-game Kansas State run and lack of execution in the endgame proved too much for Texas to overcome as the Wildcats defeated the Longhorns, 67-64, Wednesday in Big 12 Conference play at the Frank Erwin Center in Austin. The loss dropped the Longhorns' record this season to 15-9 overall, and 5-6 in games against Big 12 opponents. K-State improved to 17-7 overall, 6-5 in Big 12 play. Dean Wade hit for 16 points as all five Kansas State starters scored in double figures, but it was the plays the Wildcats made in the final two minutes that allowed them to bounce back from a 38-ppint loss Saturday to No. 19 West Virginia. After doing just about everything correctly Feb. 3 in their victory over then-No. 12 Oklahoma, the Longhorns had little energy or spirit and even less hunger and it cost them when Kansas State made its inevitable surge with about seven minutes to play.